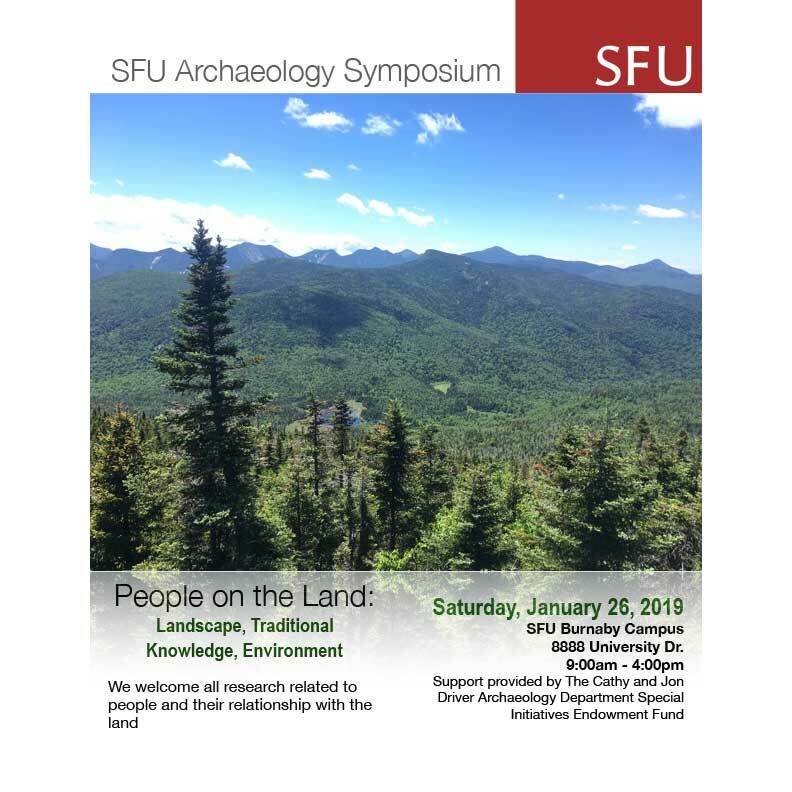 We would like to invite students, faculty, professionals, and the interested public to register to attend and/or present at People on The Land, a symposium hosted by Simon Fraser University's Archaeology Graduate Student Caucus. The AGSC would like to open up this opportunity to the wider community to allow individuals to showcase recent works, and come together for discussion. This symposium is free and open for all to attend with RSVP. Priority for presentations will be awarded to students, First Nations representatives, and other cultural and environmental professionals. The symposium will be held on Saturday January, 26, 2019 from 9am - 4pm at the SFU Burnaby Campus (8888 University Drive, Burnaby, BC). We would like to acknowledge that SFU Burnaby campus is on the traditional and unceded lands of the Musqueam, Squamish and Tsleil-Waututh peoples. Registration deadline is January 1, 2019.